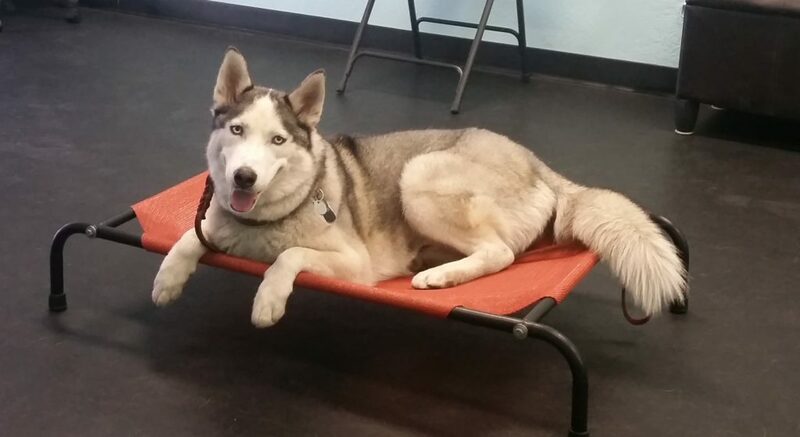 Brian and Kathy from Mesa, AZ called us because their mischievous Siberian Husky, Bleu has some unwanted habits. They didn’t like when he jumped on guests, ran outside the front door and counter surfed. Bleu was also uncomfortable around little kids and would sometimes snap at them if they got too close. It also didn’t help that Bleu’s brother, Baxter was one who helped him get into trouble. So, Brian and Kathy decided they needed help. 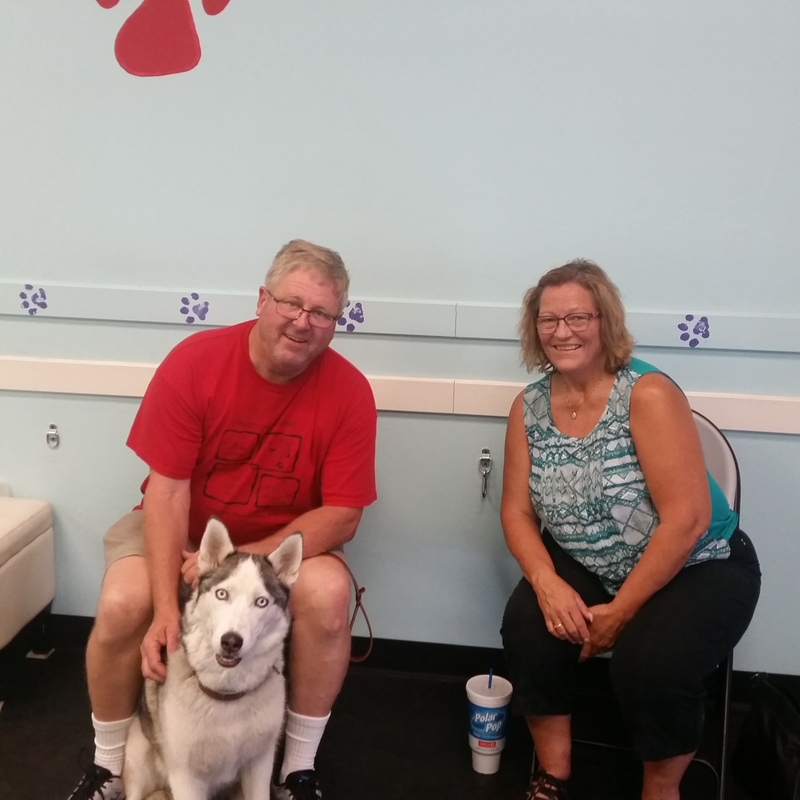 After our first meeting, Brian and Kathy signed Bleu up for our Unlimited Program. 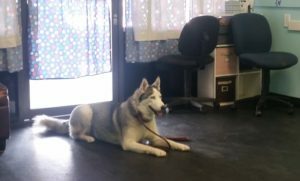 They knew they wanted to work on Bleu throughout the training and wanted guidance to make the changes inside the home. We started training with learning how to walk nicely on a leash and calm down when passing by other people and dogs. Bleu also started listening so much better at home and Brian and Kathy have worked really hard on getting Bleu to learn commands like “Come”, “Down” and “Place”. They have also taught Bleu how to calm down when people come into the home and not jump anymore. While, they are still working on getting the dogs to stop counter surfing they aren’t worried that Bleu will try and steal food right from under their noses. 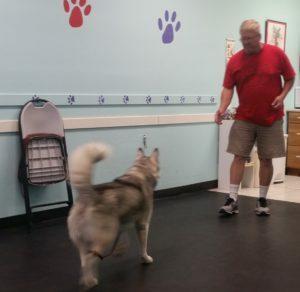 Brian and Kathy have worked very hard on training with Bleu and they are very happy with the results they see and continue to see every day. They can walk down the street without Bleu getting uncomfortable and snapping. They know when they ask Bleu to do something inside the house that he will do it and the most important thing of all is the knowledge that they get to tell Bleu he is a good boy rather than scolding him more often than not. Bleu and Baxter are two happy dogs in a family that has a lot of love to give.